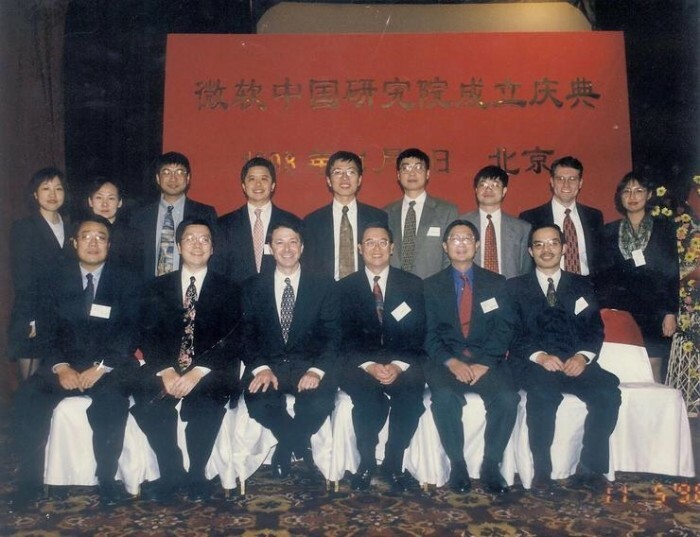 At the 20th Anniversary Celebration, Hong Xiaowen, senior vice president of Microsoft, chairman of Microsoft Asia Pacific R&D Group, and dean of Microsoft Asia Research Institute, looked at this photo full of years and couldn’t help but sigh that the age in the photo is only in his early thirties. It is worthy of Fanghua. Just these days,TencentAlso ushered in a 20-year-old birthday. 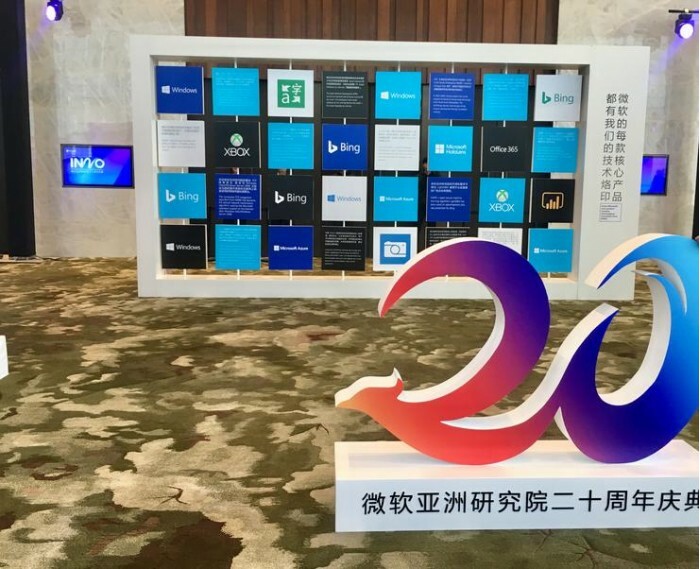 Some friends lamented that, in contrast, the 20 years written by Tencent is a turbulent history of Internet business warfare; and the 20 years of Microsoft Research Asia is less successful, more of a technical person's poetry and distance. The title of "Whampoa Military Academy" has been ten years. For a long time, Microsoft Research Asia has been regarded as the “Whampoa Military Academy” in the computer industry. It has trained a group of top-notch technical talents and continues to transfuse blood for enterprises and academia. Today, nearly 7,000 Microsoft Research Institutes around the world are active in the forefront of research innovation and industrial innovation. Among them, more than 200 residents have taught in top universities around the world, and more than 55 residents have been highly recognized by the international and Chinese academic circles, including the Chinese Thousand Talents Program, the Yangtze River Scholars and the National Outstanding Young Scientists Fund, and the Electrical Academician of the Institute of Electrical Engineers (IEEE), Fellow of the American Computer Society (ACM), and Academician of the American Society of Artificial Intelligence (AAAI). In the industry, more than 15 alumni are CEOs or CTOs in Internet companies, covering almost all of China's top Internet companies. More than 115 residents have pioneered innovation in the entrepreneurial tide, and at least five of them are founders of the Unicorn Company. As a corporate research institute, Microsoft Research Asia has won the title of being inferior to the world's top universities. However, the task of the school is to cultivate talents, while the enterprises prefer the talents to use them. The title of “Whampoa Military Academy” was also interpreted as cultivating talent but not retaining talent. Wang Haifeng——After graduating from the Ph.D., he joined Microsoft Research Asia to study natural language processing. He is currently the senior vice president of Baidu, the general manager of the AI ​​technology platform system, the dean of Baidu Research Institute, and the authoritative expert in the field of natural language processing. Zheng Yu—— Former Microsoft Institute of Advanced Studies, head of urban computing, nowJingdongVice President of the Group, General Manager of Jingdong Urban Computing Division, Dean of Jingdong Smart City Research Institute, and Chief Data Scientist of Jingdong Finance. He Yuming-- Microsoft Asia Research Institute Intern, now the Facebook AI Research Institute, won numerous computer vision academic awards. 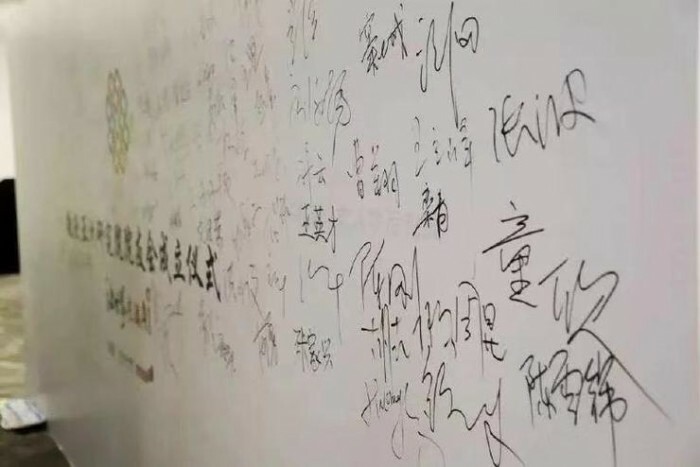 The 20th anniversary of the founding of the hospital, Luo listed 20 people is also a commemoration, these 20 people lead the industry development, but believe that 7000 alumni in more than 20 years will affect our world from all aspects. Since its inception, Microsoft Asia Research Institute has been promoting the development of cutting-edge technologies in the entire computer industry, focusing on six major topics including natural user interfaces, intelligent multimedia, cloud and edge computing, big data and knowledge mining, computer science and artificial intelligence. The direction of research, soon after its establishment, developed into Microsoft's largest research institution outside the US headquarters. Nowadays, many companies are building research institutes to develop basic technologies for the sake of long-term development. Microsoft Research Asia is undoubtedly a model. What are the merits to be emulated? The first reason is to have an open research environment for research. In China at that time, it was very new for companies to do research institutes. We never thought that companies could set up open research institutes and share their achievements. Since its inception, Microsoft Research Asia has been open and shared, and has continuously invited computer scientists from around the world, Turing Award winners to China to share their results. The second reason is that Microsoft has trusted research since the CEO, and has made research decisions.heart. Twenty-seven years ago, Microsoft President Bill Gates decided to become a research institute and set up Microsoft Research Institute; 21 years ago, the Cambridge Institute was established in the UK; 20 years ago, he came to Beijing. After the Gates, Ballmer and Satya have also increased their investment in technical research. The third reason is to do the innovative spirit of research.There are many aspects of scientific research culture. The most important thing is to be able to innovate and dare to question the authority of the past. This is a very important thing to do research in China. As Shen Xiangyang said, the birth of Microsoft Research Asia is inseparableMicrosoft President Bill Gates's forward-looking thinking, the development of research also inseparable from the spirit of open cooperation. Microsoft Research founder Rick Rashid recalls that Microsoft established the Microsoft Research Institute in 1991 and launched it in 1996.Windows95 played a key role. At the time, 1/4 of the graphics papers came from Microsoft. In 1996, Bill Gates wrote a letter to Rick Rashid saying that the research institute had such an impact on the company that it hoped to triple the size of its research division,. Rick Rashid recalled. At that time, Microsoft Research only 100 people, only out of the United States, to achieve such an expansion. Hao Ping, president of Peking University, and Qiu Yong, president of Tsinghua University, both talked about the fate of Bill Gates' visit to Beijing in 1997. Hao Ping recalled that Bill Gates visited China 23 years ago and made a special trip to Peking University, where he felt a deep academic atmosphere and decided to set up a basic research institution in China. Incidentally, Qiu Yong talked about similar origins. In 2007, Bill Gates received an honorary doctorate from Tsinghua University. In his speech, he said that when he visited Tsinghua 10 years ago (1997), he felt that Tsinghua students were very smart. Impressed by his enthusiasm and innovation, he decided to establish an Asian institute in Beijing. It is believed that Bill Gates also felt the equally impressive style of learning at Peking University's Tsinghua University. Microsoft Asia Research Institute in Danling Street, and Peking University Tsinghua University is a stop apart, the advantages of geographical location also makes each other close contact. With a good academic environment, Microsoft Research Asia has been able to establish long-term academic cooperation at all major levels, build a bridge between industry and academia, and in the past 20 years, it has not lost much hope. Since its inception, Microsoft Asia Research Institute has four deans. The first dean is Li Kaifu, the second is Li Yaqin, and the two terms are all 2-3 years. Shen Xiangyang was the third dean. After four years in office, he was replaced by Hong Xiaowen. He has been the dean for eleven years. Shen Xiangyang recalled that when he first took office, Microsoft Research Asia was still renovating. He joked that he received a very important task at that time, that is, to pick the floor for the research institute, precisely because the color of the floor was chosen, the research institute developed. Getting better and better. 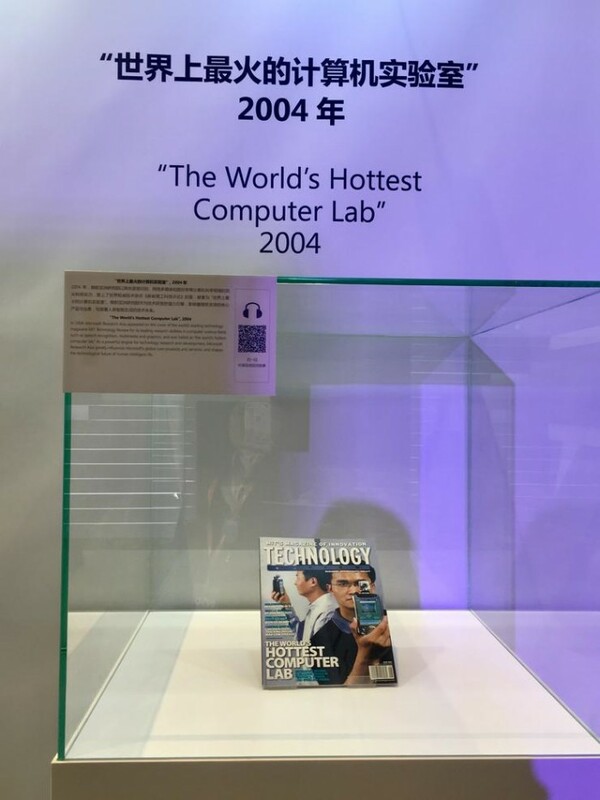 By June 2004, the foreign media MIT Technology Review published an article saying that Microsoft Research Asia was the world's hottest computer lab. At that time, Shen Xiangyang was at the airport in the United States. When he saw the magazine, he excitedly put all the magazines on the magazine. The MIT Technology Review was bought and the boss was very surprised. The Microsoft Asia Research Institute rooted in Beijing is internationally recognized, mainly relying on research strength. According to Shen Xiangyang, over the past 20 years, Microsoft Research Asia has published more than 5,000 papers in top conferences and journals, 50 of which received the best paper award. Just on the list of AAAI 2019 papers published in the top academic conference on artificial intelligence, 27 were from Microsoft Research Asia. For Shen Xiangyang, every paper made him impressed. Combining the theme of the 20th anniversary, he chose 20 papers to introduce to you. In 1999, a paper published by Microsoft Research Institute in the field of computer graphics and image called "Plenoptic Sampling" received extensive attention at SIGGRAPH, and made a name for the research capacity of the institute; then a 2007 article Learning to Rank: From Pairwise Approach to Listwise Approach, this paper has made the Institute a world-class in the field of machine learning; in 2018, this article in the field of neural network machine translation "Joint Training for Neural Machine Translation Models with Monolingual Data is also very important. 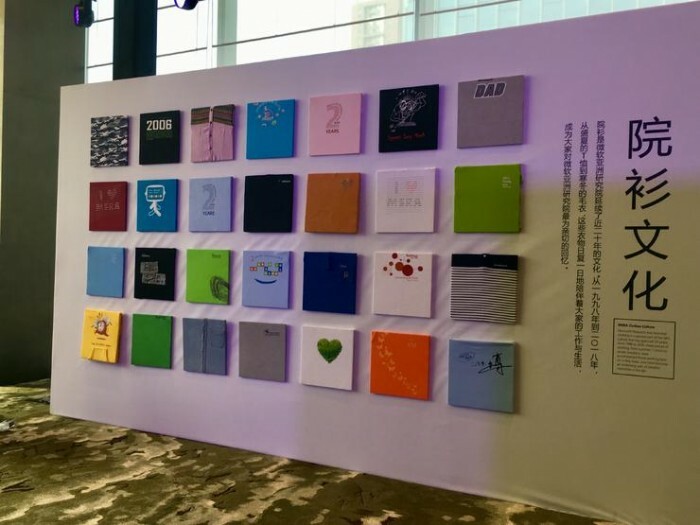 The twentieth anniversary of the year is just a paper, and the products and technologies continue to infiltrate and influence the industry, making Microsoft Asia Research Institute have the glory of the present. The above three papers, friends who have not seen it, are worth looking for. Due to limited time, we have not been able to hear Shen Xiangyang's introduction of all 20 papers. Microsoft Research Asia values ​​basic research, but it is also on the front line of the industry, which is significantly different from the school. Many people who go to Microsoft Research Asia are eager to use products to change the world. Shen Xiangyang also introduced the five key areas of global influence of Microsoft Research Asia: Internet and search, network and systems, machine learning and intelligence, voice and language, vision and graphics.In addition, at the celebration site, Microsoft released a lot of Microsoft product information supported by Microsoft Research Asia. The first area, the Internet and search.Microsoft's main product is Bing (Bing). The Bing search engine has a 1/3 market share in the US and a 20% market share in the UK. When users use Bing search, the design of large-scale distributed systems such as web page storage, analysis, acquisition, and sorting comes from Microsoft Research Asia, and it also helps Bing become smarter. In the field of "machine cognitive intelligence" in the technology exhibition area, "based onvideoThe Conversational AI Engine: Easily Find Video Clips. 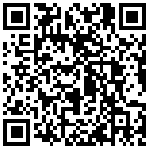 This application is based on Bing's technology. It is understood that when a user searches for a video in Bing, Bing can find out the corresponding content in the video content based on the keyword and mark the segment. To the user. There is also a "multi-data source Q&A based on knowledge extraction and abstracts". This technology supports Bing to understand the content of the article, extract the answers directly from the article, and save user time. The second area, networks and systems.In the era of artificial intelligence, Microsoft has abandoned the "mobile first, cloud first" strategy, and turned into "smart cloud & smart edge", as Microsoft's core cloud computing product Microsoft Azure plays a decisive role. Microsoft Azure has a lot of key technologies for storage, computing and networking that are contributed by Microsoft Research Asia. In the core Azure Compute section, researchers at Microsoft Research Asia designed highly optimized resource allocation and VM layout algorithms to enhance VM availability in Azure with cumulative cost savings of more than $1 billion. The third area, machine learning and intelligence.This mainly refers to the AI ​​algorithm and framework. Azure ML and ML Net integrate many algorithms from Microsoft Research Asia, including distributed parameters.serverMultiverso, the theme model LightLDA, and the high-performance machine learning algorithm LightGBMb, LightGBMb were used to predict the click-through rate of Bing search ads. Microsoft Research Asia has also developed Tools for AI forDevelopmentThe developer uses a full-platform, full-build product lifecycle and development kits that support a variety of deep learning frameworks. The fourth area, language and voice.Universal artificial intelligence is the vision that Bill Gates has always wanted to achieve, and language and voice technology are at its core. In 2018, on the SQuAD text comprehension challenge list sponsored by Stanford University, Microsoft Research Asia's R-NET and NL-NET models were respectively in EM values ​​(indicating that the predicted answer matches the real answer) and the F1 value (representing the prediction) The answer and the real answer are similarly matched. The two dimensions are the first to surpass the human score; in March 2018, the machine translation system jointly developed by Microsoft Research Asia and Microsoft Redmond Institute is in the general news report test set newstest2017. For the first time in the English test set, it reached a level comparable to human translation. At present, the voice synthesis related product functions in Windows all adopt the speech synthesis (TTS) engine provided by Microsoft Research Asia. The fifth field, vision and graphics.At present, the development of computer vision is inseparable from the residual network ResNet proposed by Microsoft Research Asia. Two or three years ago, the Institute used a 152-layer network on ImageNet to achieve an accuracy rate of 96%. Today, the residual network has become the standard for computer vision. AlphaGo Zero also uses ResNet to play Go. Recently, Microsoft Asia Research Institute's breakthrough in visual and graphics is OCR (Optical Character Recognition). In terms of OCR, Microsoft Research Asia has the best technology in the world. Shen Xiangyang is very proud to say. Of course, many of the technologies of computer vision and graphics are used in many Microsoft products, including Windows, Cognitve Service, X-box,HololensKinect, these products are closely related to Microsoft Asia Research Institute. For example, the face recognition technology used by Windows Hello, which was first seen in Windows 10, came from Microsoft Research Asia. In the era of artificial intelligence, the gap between technology and landing is getting bigger and bigger, and the development of science and technology is inseparable from the collaborative innovation with the industry. 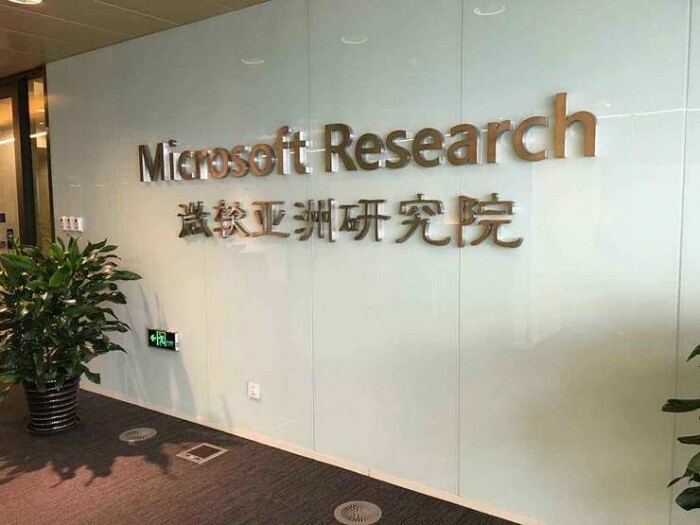 In recent years, Microsoft Research Asia has also worked with finance, healthcare,educationLeading companies in various industries have launched technical and scientific research cooperation. In November 2017, Microsoft Asia Research proposed the concept of “Digital Transformation as a Service (DTaaS)” and formally established the “Innovation Meeting” of Microsoft Research Asia.The aim is to make full use of the research wisdom reserve of Microsoft Research Asia to help enterprises solve the technical challenges encountered in the development process, understand the trend of technological development, and explore broader development prospects. The members of “Innovation Meeting” include large state-owned enterprises, world-renowned foreign-funded institutions, leading private enterprises and start-up companies, covering financial services, manufacturing, logistics, retail, education and medical health. 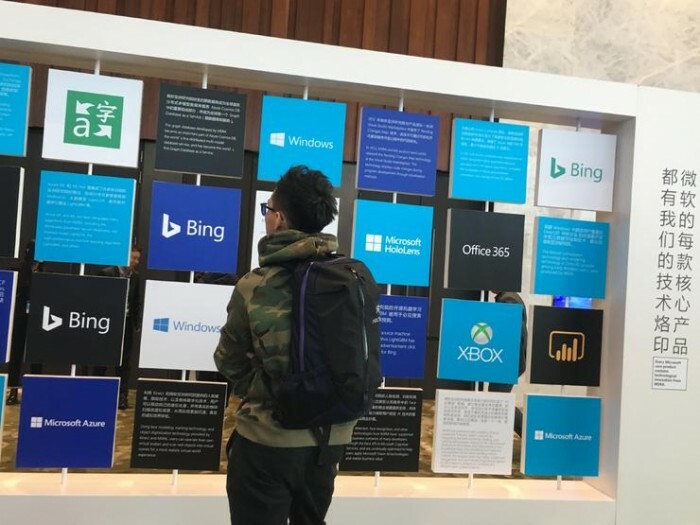 At the celebration, as the first member of the Microsoft Innovation Institute's “Innovation Meeting”, Pearson, a world-renowned education company, introduced the cooperation with Microsoft Research Asia. Pearson built the Longman Xiaoying with Microsoft Xiaoying as the technology foundation. When students are engaged in English conversation and pronunciation practice at home, they can start the English conversation directly by simply opening Longman Xiaoying on WeChat. At the same time, Longman Xiaoying will score and correct the students' oral performance, effectively solving the problem of "dumb English" and insufficient oral standards that have long plagued parents. At present, Longman Xiaoying has supported Pearson's 9 levels of learning content, serving more than 35,000 students, and is expanding from a variety of content and usage groups. Also the first member of the “Innovation Meeting”, Pfizer, an internationally renowned pharmaceutical company, also demonstrated its cooperation with Microsoft Research Asia in the medical field. It mainly uses artificial intelligence services such as computer image recognition and machine learning running on Microsoft Smart Cloud to jointly realize automated, high-efficiency and high-accuracy medical image recognition technology, greatly improving the timeliness of fungal sample inspection and identification, and reducing labor. The intensity of the work to be tested, and the inspection work is spread to more medical institutions. Hong Xiaowen said that for the exploration of the unknown and the creation of the future, we cannot rely on one company alone. We need the entire ecosystem to achieve it together. Twenty weak crowns, Microsoft Research Asia continues to open up the journey of innovation. Build 2018 conference combing: Azure, AI, Microsoft 365, development, etc. ABI Research: 5G Competition USA is in the lead for the time being, but it is not known who will die.